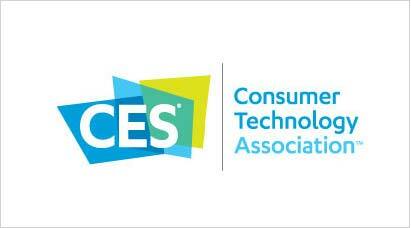 Wear & Hear is the brand name for a line of concept, future-looking wearable audio devices being developed by Alango Technologies, a leading supplier of voice and audio enhancement technologies for the communication and entertainment markets. Designed with the elderly, or those with limited motor function in their fingers, in mind, this model includes a telecoil and large, tactile buttons in an extra-sturdy form factor. BeHear Access can be recharged easily by placing it in a magnetized base-station. Wearing a stereo headset is not always appropriate, especially in business settings. For this reason, we have developed a monaural device designed for anyone preferring a single-sided solution, such as bus and taxi drivers, shop personnel, wait staff, executives, etc. 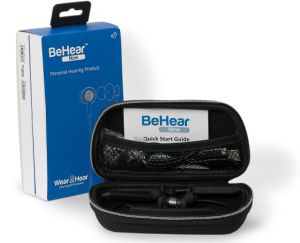 BeHear Business includes the same hearing enhancement technology as the other headsets in the Wear & Hear line. It can be worn in either the left or right ear of the wearer. 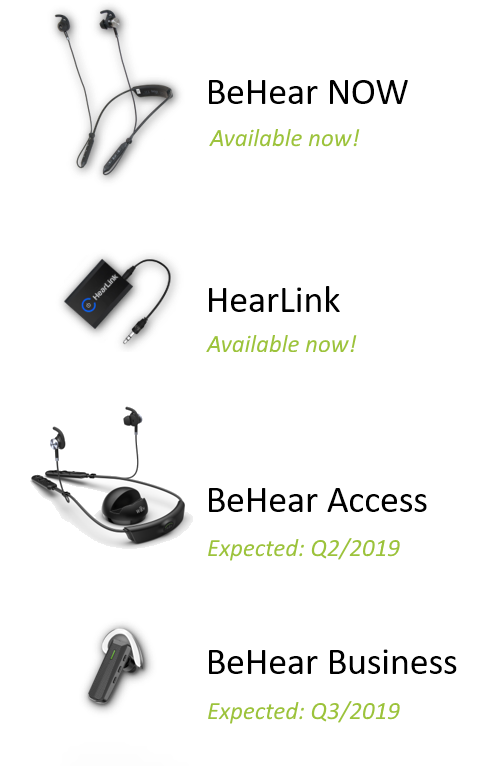 The Wear & Hear line ushers in a new era of hearing enhancement wherein stylish, affordable, always-on, always-connected wearable audio devices deliver crystal clear and pleasantly natural customized audio and voice directly to an individual’s ears. Wear & Hear is the brand name for a line of concept, future-looking wearable audio devices that provide personalized hearing enhancement in all types of hearing situations.